Home College Games Is Slap Cup the New Flip Cup? Flip cup is said to be one of the easiest bar games out there. But has trying to flip a cup ever made you so frustrated that you just wanted to slap the darned thing? I don’t know if the table is too wet, my hands are too big, or if beer just makes me clumsier than I already am, but I’ve never had much luck with flip cup. Thankfully there is a game where you can impress a crowd by slapping the darned cup. And this “new” game might be a better fit for casual bar games that don’t require a lot of skills. Two teams line up on either side of a table with each player given a cup of beer. 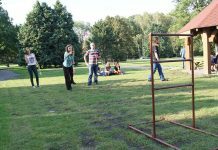 Starting from one end, each player drinks their cup and then races to flip the empty cup on its lip; once it lands the next person can start. The team that flips all its cups first wins. Create the “pool” in the center of the table by filling one cup with beer, surrounded by many ⅓ filled cups. Two empty cups are given to two players with a ping pong ball each. The objective of the game is to bounce the ball into your cup before the person to your left does. If the person to your left makes their cup before you, they can slap away your cup. -If your cup is slapped, the slapper passes their ball and cup to the person on your right. Meanwhile you grab a new cup from the pool, drink it, and then try to bounce your shot into that cup. That way you have an opportunity to make your shot and slap the cup of the the person to your right. -If you make a bounce on your first try, you have the option to pass the cup to any person at the table. Use this to your advantage–whether to get the action away from you for a second, or to put more pressure on the person who was just trying to slap your cup! Instead of splitting into two teams, this is a flip cup free for all. All participants start at the same time, and race to flip their cups. Last person standing is eliminated… until the final face-off where the final two players race to flip three cups each. The catch with slap cup is that with so many cups flying around, messes abound. One way around this is to create a tower with the empty cups, hence the name stack cup. -The loser must then add the cup they failed to bounce into plus one from the pool to the stack, and then try to bounce into the stack. -As you might imagine, once the stack reaches a certain height it’s impossible to bounce into it. 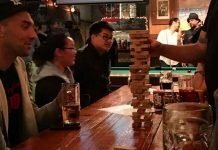 It might be a good idea to limit the height of a stack, or to create a rule that if someone bounces into a stack on their first try they can remove a certain number of cups from the stack. Which Game Is Easier To Master? A good friend of mine, Jeremy, is unstoppable at flip cup. He’s tried to show me the foolproof method to flipping the cup–where to hit it, how much force to apply… to me the mechanics seem as precise as a golf swing. Jeremy is a talented dude. Slap cup, on the other hand is just bouncing a ball into your cup. For some people I’m sure this can be just as frustrating as flipping a cup is for me, but I like to think that there’s more left to chance with slap cup because you never know when you’ll get a favorable bounce. Okay, I guess the required skill level for each game is about the same. A single round of flip cup will normally end faster, but as far as the pace of game play and overall excitement, slap cup wins this category for sure. One of the biggest drawbacks of flip cup is that slow flippers like me can slow down the entire line. This explains how Jeremy has ever lost a game of flip cup. It wasn’t his fault–he didn’t even get a chance to drink during those rounds. 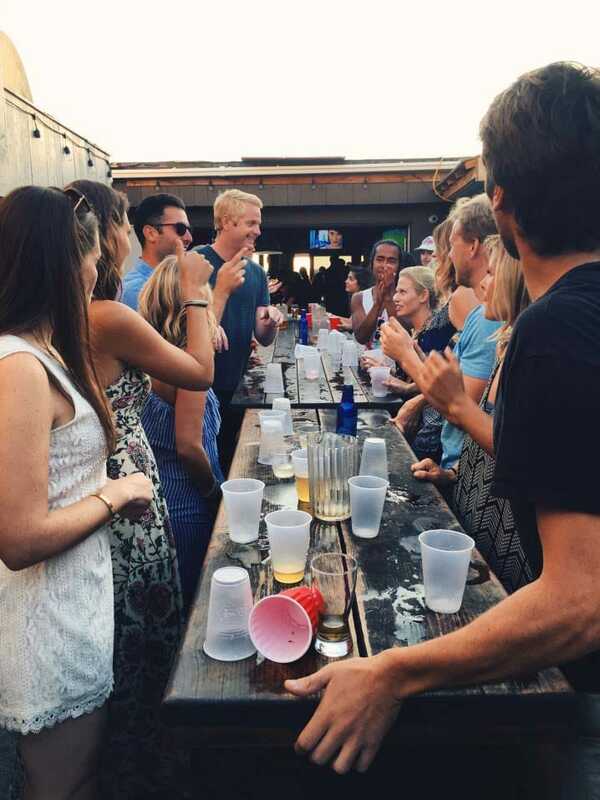 Slap cup keeps you on your toes no matter how many people are playing. And it doesn’t matter how slow they are. The cup can be passed to you at any time. I often see players surprising someone across the table by passing them the cup. This strategy is especially useful as the game gets closer and closer to that final cup that the loser drinks, which is completely full of beer. Bottom line is, there’s always waiting in flip cup, either for someone to flip their cup so that you can go, or for the game to be over so you can go again. In slap cup, you never know when you’ll get a chance to slap someone’s cup, or when you’re in danger of having your cup slapped! 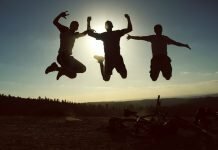 The unpredictability of the game makes it more exciting even if you’re not necessarily drinking as much or as fast as you would be in flip cup. Which Has Been Around Longer? There’s no way to know for sure from where or when either game originated, and it’s too soon to tell if either of these games has stood the test of time. 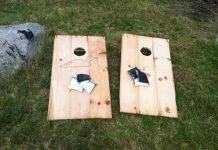 But as the title of this piece implies, slap cup is more than likely the new kid on the block, and it has some catching up to do in order to become as prevalent and popular as flip cup. 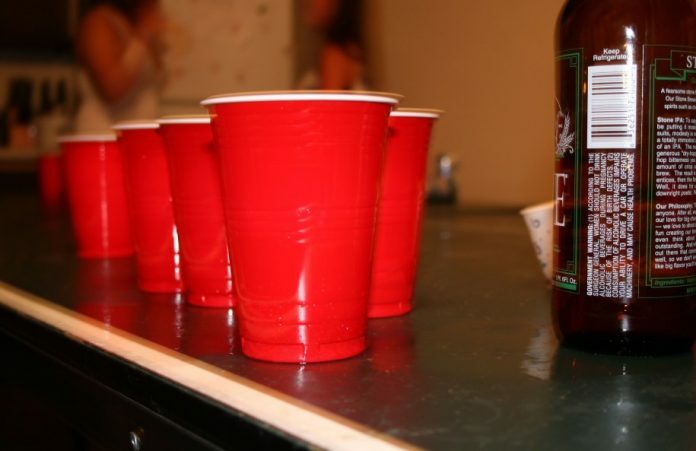 It’s generally rumored that flip cup originated in the late 1980s in Hoboken, New Jersey, by college students who intended to create a low-skill inclusive game that anyone could play. According to Urban Dictionary, “Slappy Cup” came from the University of Illinois in the fall of 2009. It was probably invented for the same reason. 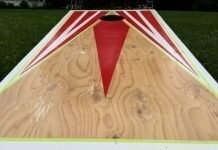 We do know for sure is that flip cup has been around at least since 2005, as the World Flip Cup Tournament hosted its 9th annual tournament in 2014. An episode of the TV Series It’s Alway Sunny in Philadelphia centers around flip cup. In “The Gang Reignites the Rivalry” the main characters seek revenge against a bar that banned them from a flip cup tournament (Flipadelphia) back in 1998. The episode aired in December of 2009, and was written before the fall semester began. In 2016, the Chicago Cubs set a world record for largest flip cup game with 200 participants. A year later, the Word Adult Kickball Association set a new world record for largest flip cup game with 251 participants. For now, flip cup boasts more popularity and recognition than slap cup, but who’s to say slap cup tournaments and conventions aren’t right around the corner? For Jeremy’s sake I won’t be registering for any flip cup tournaments any time soon, but I’m excited to see what the future for slap cup holds. In the meantime I guess I should step up my flip cup game, if nothing else because I have to admit, Flipadelphia logos are pretty awesome. 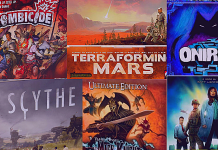 Thinking about hosting a tournament of your own? Whether you like flip cup, slap cup, or beer pong best, make sure you get a table that gives you a home court advantage!